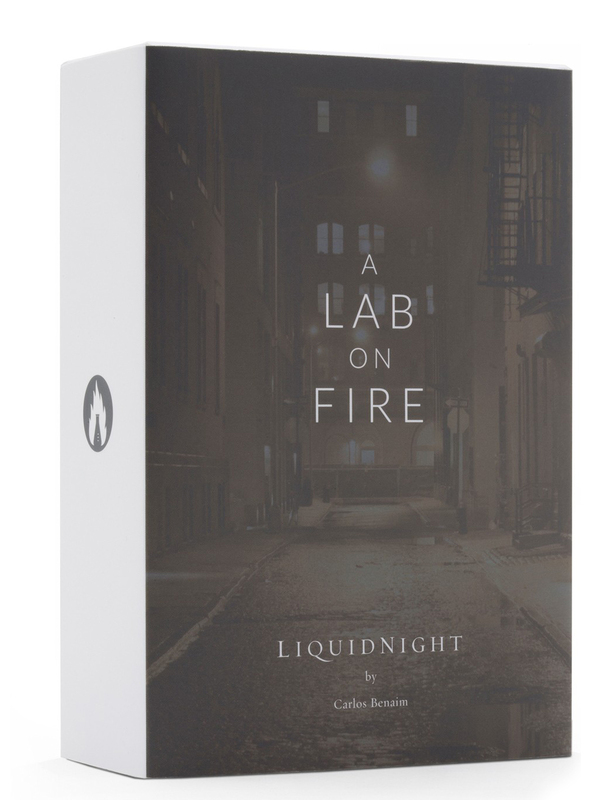 Liquidnight is a popular perfume by A Lab on Fire for women and men and was released in 2012. The scent is woody-spicy. It is still in production. Now, let's test it out: Ah - here Augsta likes saffron. Not at all baked, but very spicy, right at the beginning; woody sweat on sweet skin. And that mixed with a very nice bergamot note, also lime for me, see pyramid. That's a top note for AugustA! And immediately the fragrance is sooo attractive. Liquid, liquid, perhaps like an oil that forms droplets or mercury, at least slightly viscous, not watery and very mobile. And the scent is dark, but not without light points. A slight sweetness now comes over the citrus note, but also something ethereal herbaceous, possibly lavender. With all its mobility, the fragrance has an enveloping effect, you want to be covered with it all over your body during this phase. Sticky? Whatever. An ethereal tickle on the skin? More of it! And now there is a wood note that brings a grey-brown veil of smoke. The fragrance is more olfactory state than fragrance. The nose cannot get rid of scent, candlelight images begin to form in front of the inner eye, flickering, indistinct. Vanilla, musk, a gift, this is the perfect base for the warm mood that the fragrance evokes. But only this silvery resinous incense with sweetness and acidity brings tension, first agrumic-sour and then like a sage candy, which pulls the water in your mouth together. And this is again warmed by the saffron with its reddish-brown texture, spicy and soft at the same time. If it stays that way, the scent is really cool good. A big sip of Coke spills by. I had not yet consciously perceived Hinoki wood. Let's see - Hinoki false cypress: In Japan, essential oil is extracted from it and it smells of lemon. The wood is used to build temples, shrines, palaces and theatres. Meditative, purifying, refreshing to the mind, I'd think. I find all this in the fragrance, as it unfolds its heart note in the convergence of the components, which now radiates great calm to me. At the same time, the fragrance brings life to the city at night. My perception is decentering again. This liveliness remains, silvery floating with woody sour sweetness. Scratches the throat a little, the smoke rises into the eyes, strange. That's how alive this scent is. Lively as liquid night. In the base musk and vanilla push themselves into the foreground, also the saffron warms again spicy, but silky soft now. When one smells at the clothes, a breath of the special ethereal incense silver tension remains with Colanote. But the fragrance now becomes completely dry, soft and powdery. A fragrance, enveloping and at the same time moving, opening. Strange and familiar. It simply smells sensationally good and moves clearly off the beaten track! Many thanks to the Parfuma from whom I got this blind test scent! LiquidNight opens with a relatively brief blast of soft lime before transitioning to its early heart where you immediately get a bit of a taste of non-smoky incense and sweet vanilla rising from the base, along with slightly spiced Hinoki wood. As the scent continues its development, the wood and incense both gradually grow in strength and take the fore, but the sweet warm vanilla still remains in support to smooth out the woody facets. Finally in the dry-down, the scent becomes a bit less sweet, but the wood and incense remain with the wood the more assertive of the two at this point, now joined by a light musk that does not feature its usual animalic aspects, rather instead acting more as a binder. Projection is good and longevity is excellent. LiquidNight was a pleasant surprise as while I have great respect for Carlos Benaim as the parfumier behind the great original Polo I own and love so much, he has released disappointment after disappointment from a scent perspective ever since (and it has been well over a quarter century since Polo). I am happy to say that finally after a 34 year wait Mr. Benaim is back in excellent form with LiquidNight. No, this is far from the groundbreaking masterpiece Polo is (and was), but LiquidNight is a well-executed smooth sweet woody incense composition that smells quite fine and would make a fabulous evening scent in particular. The implementation of the vanilla in particular is impressive as it is utilized as a softener to the lightly spiced wood and incense tandem with it never veering into the "too sweet" realm as so many others have, nor coming off as powdery. LiquidNight is very unisex and this scent would smell great on just about anyone. 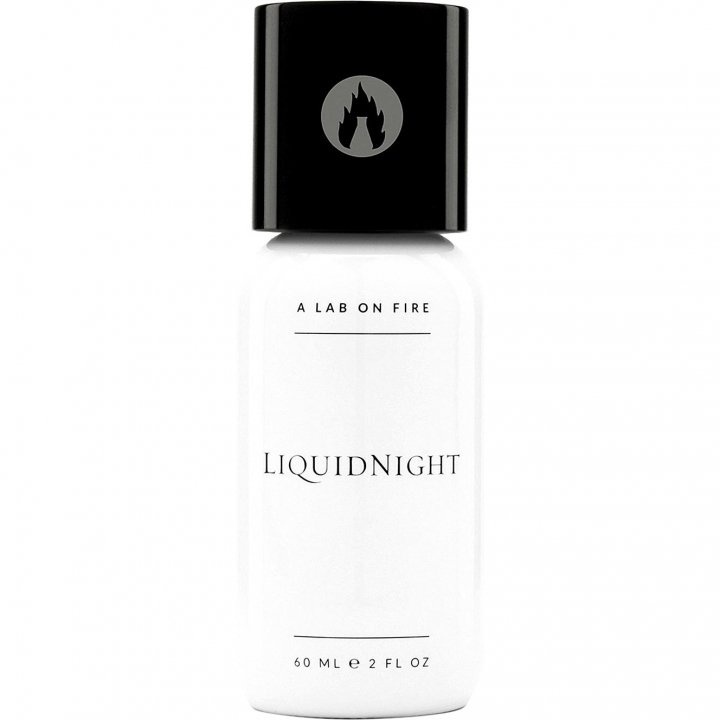 The bottom line is while LiquidNight may be far from the most innovative scent on the market, it is very pleasant smelling and extremely well-executed, earning an excellent rating of 4 stars out of 5. Welcome back to form, Mr. Benaim!